Two technology titans who have been grappling in courts around the world will be meeting face to face Monday to see if they can settle their differences and concentrate on what they do best: creating great consumer electronics products. Apple CEO Tim Cook and Samsung Major Domo Gee-Sung Choi are scheduled to meet in San Francisco to engage in two days of discussions about claims and counterclaims made in lawsuits filed in the United States in which each company maintains its intellectual property has been infringed by the other. The meeting between the two CEOs isn't a voluntary one. It was ordered by the federal judge, Lucy Koh, presiding over lawsuits filed by Apple against Samsung alleging infringement of patents for both the iPad and iPhone. Although the negotiation sessions next week, which will be refereed by Magistrate Judge Joseph C. Spero, involve U.S. cases, they could have ramifications for the 47 lawsuits between the two companies in nine other countries. Similar negotiations were ordered in another high profile, high tech trial -- Google vs. Oracle --but both sides failed to settle anything and the case had to go to trial anyway. However, that may not be the case in the Apple-Samsung negotiations. First of all, efforts have been made before by Apple to settle its differences with the Korean company. 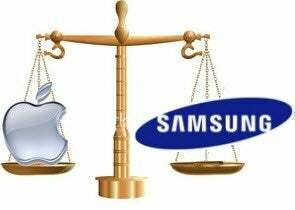 Those efforts came to light in an Australian court in 2011 when an Apple patent attorney testified that former CEO Steve Jobs contacted Samsung in July 2010 in an attempt to settle the company's intellectual property differences. What's more, the relationship between Apple and Samsung is very different from the one between Google and Oracle. "Samsung is one of Apple's biggest suppliers and it's almost necessary for the delivery of iPhones," explains Adam L.K. Philipp, an attorney with Aeon Law in Seattle. "So the companies are highly motivated to come to a mutually bearable resolution to this." In addition, although the negotiation sessions next week are court ordered, Philipp believes both sides wanted them. Having the court order the sit-down between the CEOs was a "face saving measure," for the companies, he contended. "They wanted to sit down and have negotiations and so they agreed to have the judge order them to sit down and have negotiations, he asserted. He predicted, "They're going to come up with some type of settlement and some business understanding that's going to allow both of them to go forward without appearing to have lost." "If I were to go out on a limb," he continued, "I would predict that there's going to be some burying of the hatchet and then an announcement of some great new partnership initiatives." If that doesn't happen, though, the companies will see each other in July in trial court.